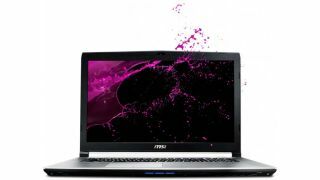 MSI has unveiled the Prestige Series line of business-class and gaming notebooks. Tuned for color accuracy, the Prestige Series also leverages True Color Technology, which allows users to adjust the display profile to best fit their computing needs. There are six different screen profiles, which are tuned for gaming, reducing eye fatigue, sRGB color accuracy, increasing clarity for words and lines, reducing harmful blue light, and optimizing contrast for watching movies. Available in either 15- or 17-inch configurations, all Prestige notebooks come with a quad-core Intel Core i7 Haswell processor, Nvidia GeForce GTX 960M graphics and support for up to three simultaneous displays. The Prestige PE70 model comes with a 17.3-inch full HD display, 16GB RAM, and 5.95-pound (2.70kg) weight. That model starts at $1,299 (£842, AU$1,620). The PE70 measures 16.49 x 11.02 x 1.14 inches (41.88 x 27.99 x 2.90cm). The Prestige PE60 comes with a 15.6-inch full HD screen, 12GB RAM, 5.29-pound (2.40kg) weight, and a starting price of $1,199 (£777, AU$1,495). The PE60 measures 15.07 x 10.23 x 1.06 inches (38.28 x 25.98 x 2.69cm). All models come with a built-in SD card reader, 1TB hard drive, optical drive, three USB 3.0, one USB 2.0, HDMI 1.4, mini DisplayPort, six-cell battery, four 2W speakers and a 102-key keyboard with a dedicated number pad. Unlike dedicated workstations, like the older Lenovo ThinkPad W540 ($2,573, £1,606, AU$2,946), the Prestige Series notebooks do not come with dedicated colorimeters to calibrate the display. However, given the processor and dedicated GPU, competitors that can keep up with the performance of the Prestige Series include the Asus G501 gaming notebook, the 2015 Lenovo Y50 ($899, £583, AU$1,121) and the 2015 Acer V Nitro ($,1349, £875, AU$1,682). Given the various display profiles and discrete graphics chip, the Prestige Series notebooks can be used for various design work as well as for office tasks given that the screen can be adjusted for better clarity, color accuracy, or for eye strain reduction. Users working with video or 3D rendering will appreciate the "movie mode" for which contrast is increased. Home users or students can benefit from the "anti-blue" and the "office mode" options, both of which are designed to reduce eye strain. This is helpful when working on the computer for extended periods of time. Additionally, in their down time, students can also use the "gamer mode" to increase the screen brightness.